"I want help generating content to support my lead generation and content marketing strategy." You have already gone through the meticulous process of developing your buyer personas, implementing your HubSpot marketing automation platform, completing your content plan for the kind of content you want to produce, and choosing your content distribution and amplification channels and activities. But you then realise that you haven’t got the capacity to continuously create all of that wonderful content you so painstakingly brainstormed. You find yourself in the awkward position where you have a large amount of knowledge, but not enough time nor employees to produce the content for you. However, you understand just how important your inbound marketing content creation is in the grand scheme of your inbound marketing process - and that your inbound marketing content distribution is fundamental to ensuring you can drive people to your website. And, without the content to drive people to your website, you won’t be able to generate a significant amount of traffic, promote your business online, or develop a growing list of prospects who are interested in what you do. So, you want assistance, someone who can create inbound marekting content on your behalf and distribute it to the channels you choose. You want an outsourced content creation program to support your overall marketing programme. 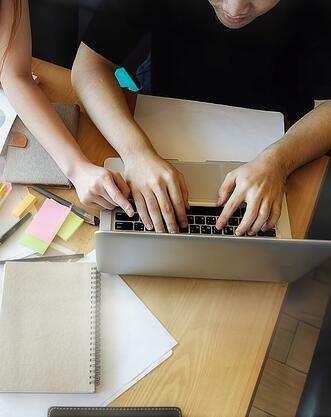 How can an outsourced content creation program help you? With a high-quality content marketing strategy you can brainstorm and create the necessary content assets you need to capture the attention of your ideal prospects. By creating and circulating the content you produce, you can build your authority and establish yourself online, making it easier for prospects to find your business. Your content is the fuel you use to drive your lead generation activity. Without content, you have nothing to offer your prospects to gain their interest and trust. Even after you've secured the sale, you want to continuously provide value and provide your customers with great service and a reason to refer you to others. Content helps you build your value and expertise. 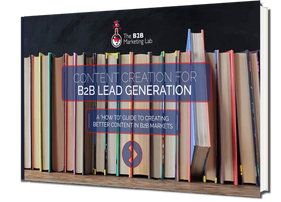 Looking for support with content generation to feed your Inbound Marketing programme? Are you currently struggling to create the quality and quantity of content needed in order to ensure your Inbound Marketing campaigns are successful?.